If you enjoy food, then you have landed on the right page. We welcome you and are pleased to have you browse around to find news about food, restaurant reviews, and unique "real people" recipes that use ingredients the ordinary person has in his or her kitchen. Grow Food for Your Table! This site is named FoodByteSite as a fun play on words. Bytes is the combination of bits used to represent a particular letter, number, or special character. FoodByteSite is a website that has bits of information about food. At FoodByteSite we find fast and easy recipes and collect them here in one convenient place. Discover food blogs and food videos to learn how to prepare delicious meals quickly and easily. Our recipe page features unique recipes that are sure to please your palate. 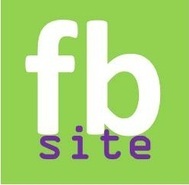 We hope you enjoy your visit to FoodByteSite. This site is updated regularly, so, please visit often to view the latest and greatest information from food lovers like you. Apron with Food Byte Site logo. Ads appearing on this page means that when you ultimately purchase a product by clicking from this page, the company will share a portion of the sale with me. Thank you, in advance. I am truly grateful for your support.